Editor’s Note: This is the cover story in the April issue of RISMedia’s Real Estate magazine. Subscribe today. Simply having a presence in countries around the globe doesn’t necessarily mean you embrace cultural diversity. Truly understanding cultural diversity goes much deeper than that. Clearly, LeadingRE is very successful at doing just that. The organization facilitated introductions into more than 100 countries over the last year, and, as members continue to strengthen relationships with network colleagues, the frequency of these introductions is expected to rise. But for LeadingRE, cultural awareness is not just about doing deals across borders; it’s about a commitment to doing business in a way that recognizes—and encompasses—diversity, no matter where you are in the world, including right here in the U.S.
To that end, LeadingRE makes sure cultural diversity is not just a principle that sits atop the organization, but a pulse that beats throughout the entire network. Through a series of events and training, the organization makes cultural awareness and sensitivity part of its DNA. 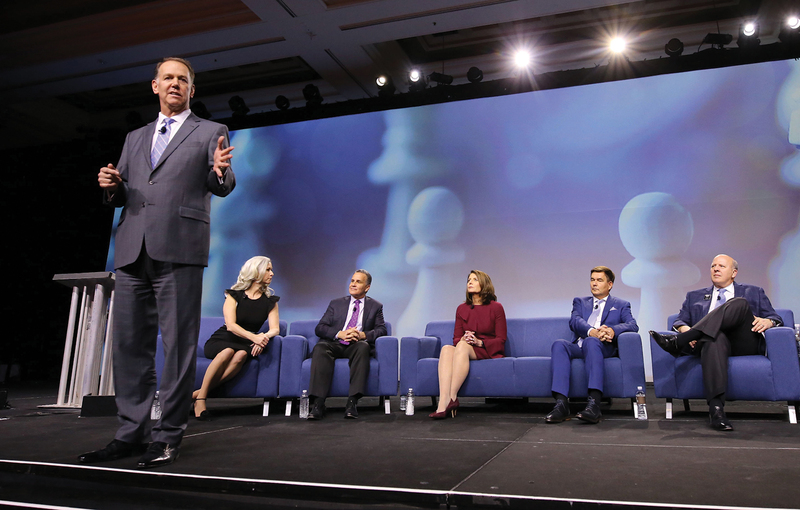 LeadingRE President & CEO Paul Boomsma leads an exchange on the trends impacting the industry at the network’s 2019 conference with (L to R) LeadingRE Chief Economist Dr. Marci Rossell; Mike Pappas, The Keyes Company; Carol Bulman, Jack Conway & Co.; Chris Dietz, LeadingRE; Lennox Scott, John L. Scott Real Estate; and (not pictured) Steve Harney, Keeping Current Matters. And, while LeadingRE’s global diversity training prepares members to do business around the world, it also helps American members embrace diversity at home. 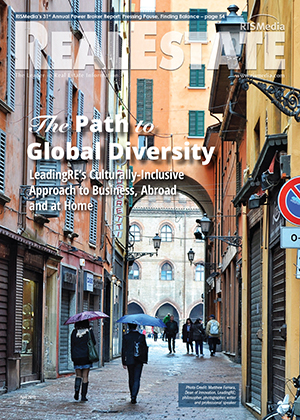 Carrying out the mission to embrace global diversity is LeadingRE’s network of 565 brokers located on six continents. Each day, they’re looking beyond borders to build business and, more importantly, lifelong relationships. Here, five members from various corners of the globe share how diversity has led their business, their markets and their mindsets toward important growth. 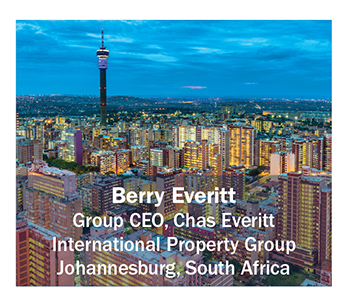 Having grown up in his family’s real estate business, Berry Everitt officially joined Chas Everitt International in 1990 and bought the firm from his father, Charles, in 1997. 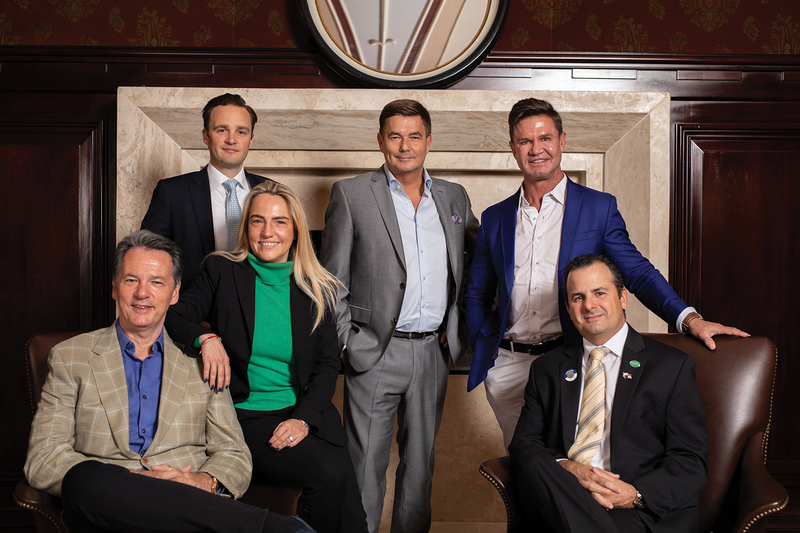 What started as a relatively small, family-owned company in Johannesburg has grown into the fourth-largest real estate company in South Africa, with what Everitt describes as “154 points of presence across the country” and about 1,300 agents. According to Everitt, his company thrives in one of the most culturally-rich areas of the globe. “Known as the ‘Rainbow Nation,’ South Africa really is one of the most diverse, cosmopolitan countries in the world, a melting pot that continues to surprise outsiders with its high level of acceptance and tolerance for different languages, ethnicities, cultures and beliefs—and to attract more immigrants as its democracy matures,” says Everitt. 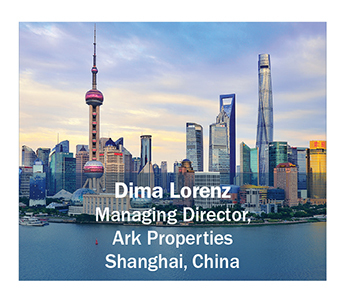 Dima Lorenz started Ark Properties in Shanghai in 2005 with his business partner and now wife, Kate. When it comes to doing business in a global environment, Dima and Kate Lorenz embody the very definition of cultural diversity. “I myself am a German passport holder, born in Hong Kong to a Russian emigrant family, but grew up in Germany and was educated in the UK. My wife comes from a British expatriate family, but had her entire upbringing abroad, in Africa and the Middle East. We now live in Hong Kong and commute between Hong Kong and Shanghai. This set-up alone is grounds for enough cultural confusion,” laughs Lorenz. 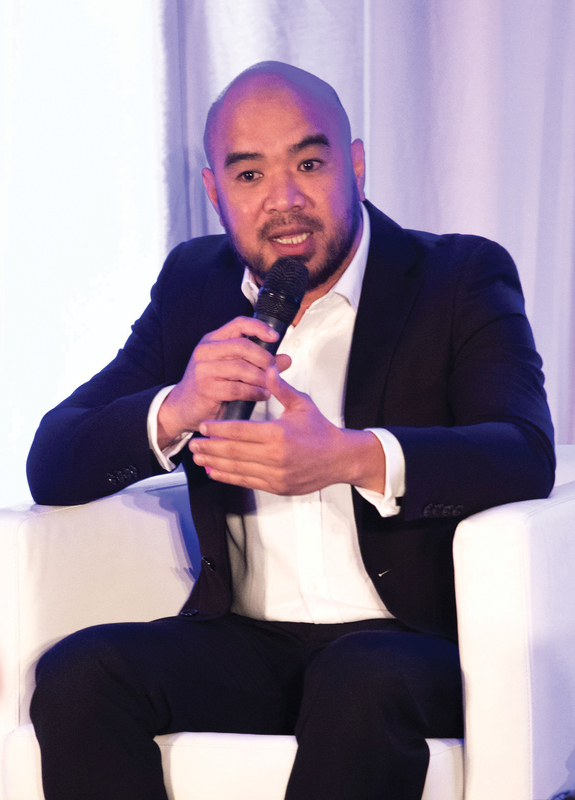 “Having access to privately-owned leading brokerages that share the same passion for their clients and local communities has given us the opportunity to really understand the cultural norms displayed in other real estate markets,” explains Lorenz. 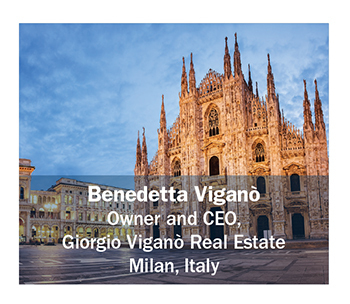 Founded in 1960, Giorgio Viganò Real Estate is headed by 29-year real estate veteran Benedetta Viganò. 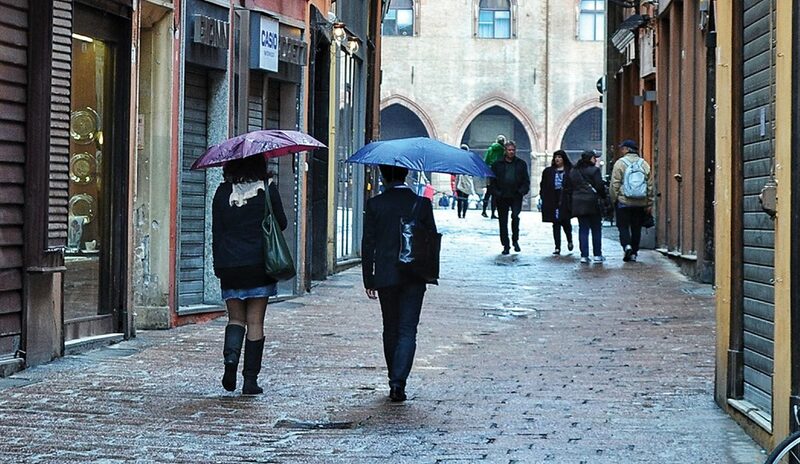 The company enjoys a healthy, active market in Milan. According to Viganò, since the 2015 EXPO—a universal, six-month exposition—Milan has become the point of reference for residential and commercial real estate investments. 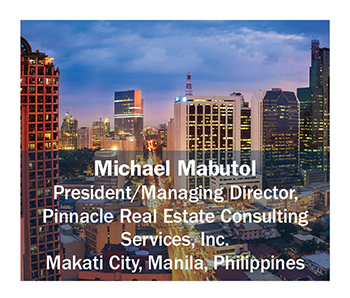 Thriving in the ever-growing Philippines real estate market, Pinnacle Real Estate Consulting Services, Inc. is led by Michael Mabutol, with 18 years in the real estate business. With two offices, 150 full-time employees and more than 800 co-brokers across the nation, Mabutol helps the firm navigate important market trends, such as co-working spaces, income-generating properties and township projects. 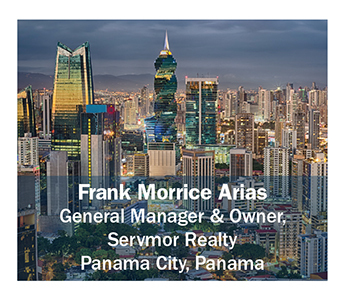 Frank Morrice Arias has been the broker/owner of Panama’s Servmor Realty since 2001. Servmor has been the largest firm in MLS production for Panama since 2012. With an overstock of inventory in the mid- to high-residential market, Morrice currently finds himself in a buyer’s market. However, he expects an improvement in Latin American economies to help absorb excess inventory in the years ahead. “Panama’s GDP has grown over 5 percent in recent years, and 2019 is forecasting a 6.3 percent increase in GDP, so our general fundamentals are okay,” he explains. Ultimately, LeadingRE’s roadmap is focused on driving opportunities to its members worldwide and providing systems, connections and education to support their success—including the insights that come from being part of a truly global organization.